Now, the days when video content was so hard to create that most people were just shying away are over. Videos are no-brainer now. When it comes to video tutorials and mashups, I am simply using iMovie (free easy time-saver). However, in many cases, you won’t even need any desktop software. There are some awesome online tools that allow you to create professional videos that will diversify your video marketing and let you experiment with genres, styles and types. The first one that comes to mind is of course Youtube Hangouts on Air. But it’s not the only one! Animoto is a huge time-saver! Grab your screenshots and videos, choose (or upload your own) music, add text breaks – you are done! A new video is ready to distribute. The cheapest plan allows you to create custom videos that will have Animoto logo at the end. Animatron was the first tool I ever used for creating videos and content re-packaging, therefore it is listed #1 in my list. Powtoon is a freemium tool to create animated presentations and video instructions. The best thing about this tool is that it lets you create video instructions that grab attention and have huge viral potential as opposed to traditional step-by-step video guides. There are lots of available elements inside: Characters, animations, text affects, image holders, etc. The free version will keep its watermark on the final version. Powtoon is awesome for creating concept explanations, fun tutorials and even promo videos. The PRO package gives you 2 GB of storage. There are higher-tier plans available if you need more. One of my recent favorite tools, Wave.video by Animatron has one of the easiest and user-friendly interfaces. 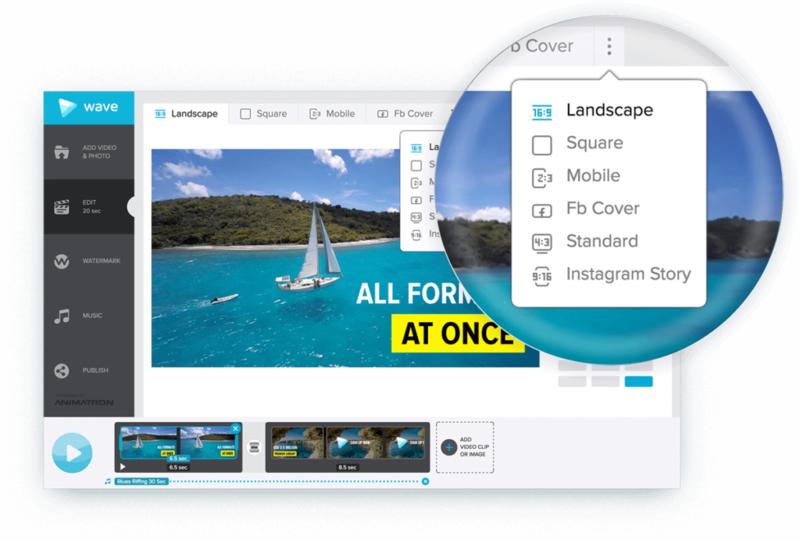 It claims to have 200 million stock video clips, lets you import your own assets and allows you to instantly resize your projects and ads to 30+ popular formats to fit your favorite social media platform. You can mix and match stock content with your own media and add stunning transitions between the clips. The PRO package allows you to create videos which are max 5 minutes long (which will be enough for most cases). If you need to create longer videos, you’ll need to select a more expensive package. 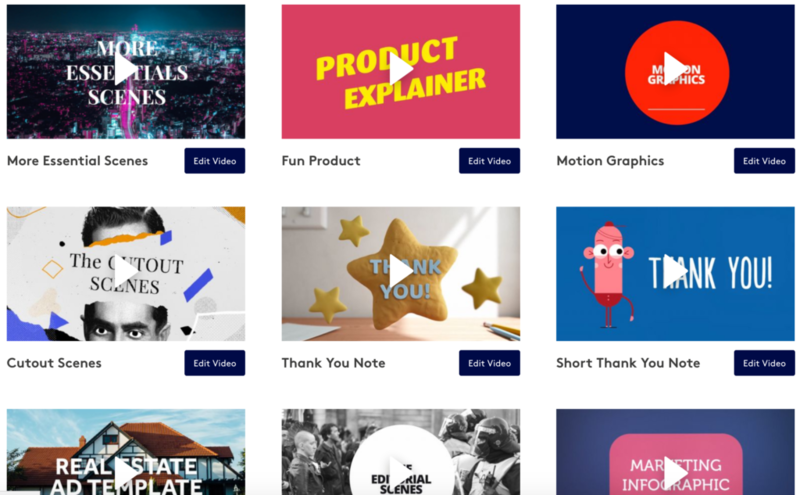 Biteable is a new tool that allows you to easily put together all kinds of videos, like ads, explainers, presentations and social media content. They offer a solid collection of templates, backgrounds and music allowing you to create original videos “in minutes”. You can also upload your own images to customize the look and add your own branding. Are there any other time-saving video creation tools you are aware of? I’ve always wondered how to create some kind of interesting and engaging cartoon like videos to keep people coming back to my YouTube channel besides uploading food videos. Interesting article and thanks for sharing your experience! There are really many ways to create quality content and this a big help.. Thanks for sharing such list Ann, I really appreciate it. Movia, Animoto, Magisto – I’ve used these 3 paid tools for video making so far and glad that you’ve included Animoto. All of these video makers work like a charm in creating video stories easily. Although there are ton of free video makers available online but premium video maker tools helps you easily create your own professional and custom videos within seconds where you don’t even need any special design skills to turn your images or stories into videos. The great thing about using these video maker tools is that you can easily add text, annotations, links, music etc really easily. Even if you’re a non tech savvy, you can use these tools to turn slides or images into videos. You can then upload them onto sites like Vimeo, YouTube etc to attract new set of audience. Thanks so much for introducing few more video maker tools as I’ll be going through each one of them now. Keep sharing such interesting information Ann. Keep rocking. Thanks that you include Animoto in your list. I have been using this app for last 2 months. It provides very polished videos with little effort and of course a great tool for teaching.. Admittedly the videos Animoto makes really aren’t very good, but they are at least better than nothing. YouTube videos rank extremely well in Google, so making Animoto videos for each of your blog posts and then using them to funnel traffic to those blog posts is a totally valid strategy. Hey Ann, Your this post is really good to know about the Tools to Easily Create Videos to Diversify. There are online tools that we all know but find the greatest tool with this post is really amazing. Hey Ann Smarty, your article give me more information about to create cartoon videos. i`ve explore all the given tools. Thanks for your collections.